Orders with product in stock are shipped on Tuesday & Wednesdays, with a 12 pm CST order cutoff time. Event requiring special timing? Please contact us to ensure timely shipping! IMPORTANT: All orders in the blue region can be shipped via ground shipping with two day arrival. 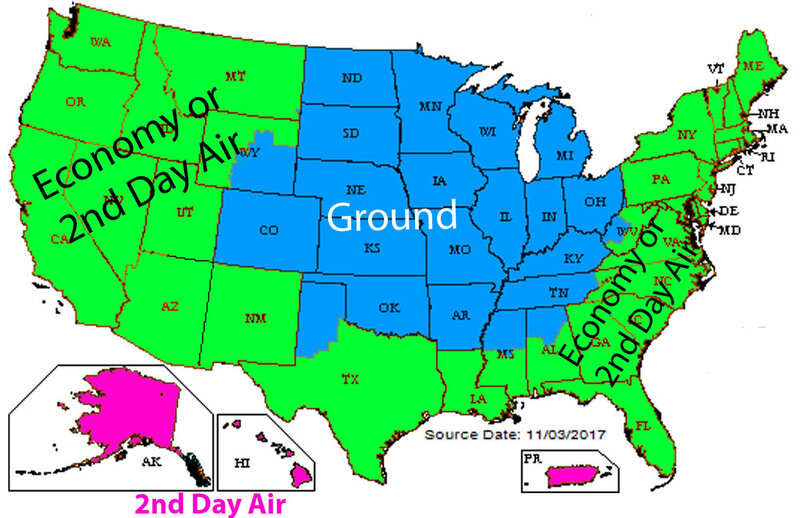 Areas in green must be shipped via 2nd day air or economy for orders over $119 (ground shipping supplemented with dry ice). Note, economy shipping could take 10-14+ days due to economy shipments occurring every other Monday.